Our MRD1818G Rugged Grayscale LCD Displays offer premium performance, high resolution, a multi-synchronous, multi-format monochrome display intended for demanding Rugged Military Environments or Industrial Monitorsimaging. To enhance these product offerings, we continue to develop a wide variety of special features and options. 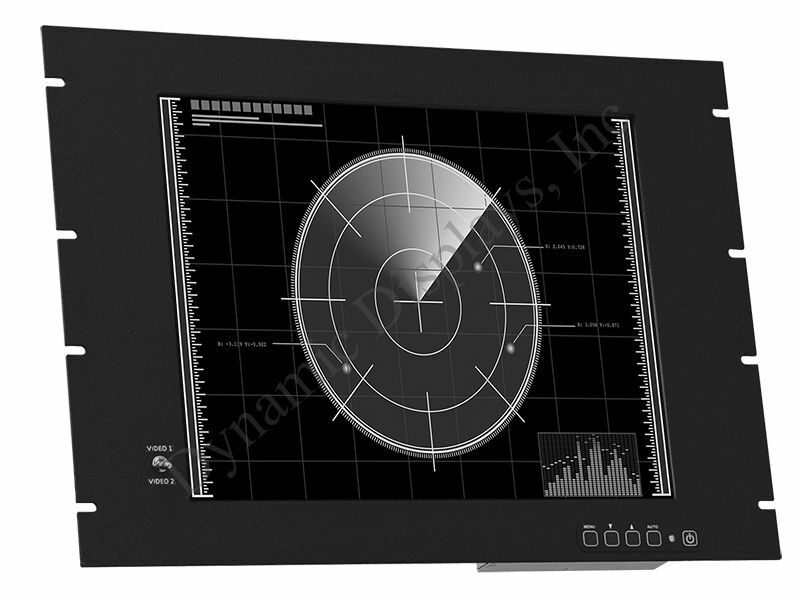 Our MRD1818G 18" Grayscale COTS Military LCD display is an extremely high performance, 18.1-inch Active Matrix Monochrome TFT LCD monitor packaged in a rugged Rackmount enclosure designed for those demanding applications that require a high-quality rack mount display compatible with a wealth of input signals. This premium 18-inch monochrome display accepts a variety of signal formats such as Analog RGB, DVI, NTSC, PAL, SECAM and S-Video enabling it to work in all modern COTS Military LCD Display applications and Military Environments. For legacy or replacement applications, this LCD display can be configured to accept a wide variety of sub-VGA formats. The MRD1818 18" Grayscale LCD features an auto-scanning real-time software algorithm allowing it to adjust to suit most non-standard resolutions and signal timings within its resolution, line and field rate ranges. Compatibility with non-standards signal timings and custom resolutions can also be provided as a custom specific option. Other options include: touch screen, enhanced sunlight readable, front touch controls, vandal shield. Designed for industrial, manufacturing, financial, transportation and other severe environments with the requirement for bright, crisp panels. Dynamic Displays' sturdy MRD1800-series LCD Displays are premium performance, high resolution, multi-synchronous, multi-format monochrome and color monitors intended for use in demanding Military or Industrial Environments. To enhance these product offerings, we continue to develop a wide variety of special features and options. Other options include: touch screen, enhanced sunlight readable, front touch controls, vandal shield. Designed for industrial, manufacturing, financial, transportation and other severe environments with a requirement for bright, crisp panels. Dynamic Displays' sturdy MRD1800-series LCD Displays are premium performance, high resolution, multi-synchronous, multi-format monochrome and color monitors intended for use in demanding Military or Industrial Environments. To enhance these product offerings, we continue to develop a wide variety of special features and options.